A compassionate memoir about a father’s relationship with his children, the healing power of a small act of kindness, and the proof that love is everlasting. Love you, Dad. Miss you so much. Steph. A brokenhearted daughter scribbled those words on a sky lantern before sending it off to her father in heaven who had passed away. Halfway across the country, Steph’s lantern landed in Matt Mikalatos’s yard. 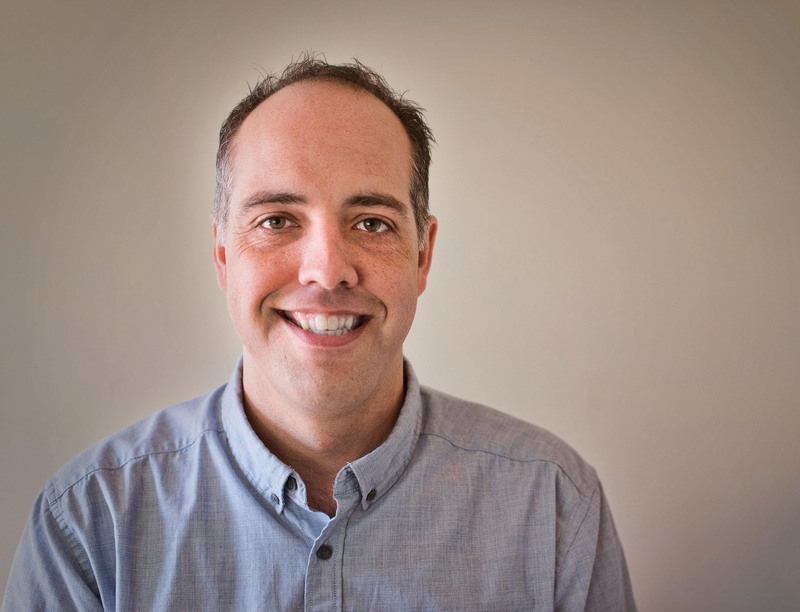 As a father of three daughters, Matt could not let that heart-wrenching note unanswered, so he posted an open letter to her on his blog, which went viral overnight. Little did he know how that small act of kindness would lead him to the real Steph and change his family’s life in remarkable ways. 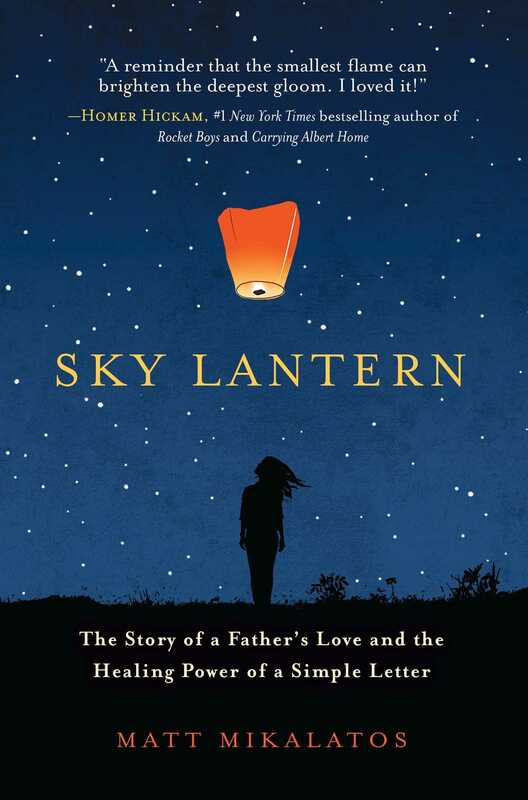 A poignant and lyrical account of the beauty and wonder found in domestic life, Sky Lantern shows how the miraculous events that followed Matt finding the sky lantern in his yard—and the widespread and lasting impact his letter had—prove that the bond between a parent and their child can last forever. BROKEN THINGS GATHER IN MY front yard. On Wednesdays the garbage truck lumbers through our neighborhood in Vancouver, Washington, squeezing between parked cars. By Saturday the missed bits of trash, blown by the wind, assemble on the last street of our neighborhood. Empty aluminum cans, scraps of pizza boxes, plastic forks, and crushed water bottles get caught in rose thorns or shoved into the grass, half clinging to the sidewalk, arranging themselves in a semicircle in front of my house. Our houses pile up close to one another in suburban conformity. A plum tree stands guard at every corner. My house stands at the western edge of our cluster. A fence runs alongside the street. When my wife, Krista, and I first moved here, we had no money for landscaping, so I scoured the Internet for free plants. I drove twenty miles to collect what looked like a pile of dead branches. Dropping the brown, thorny canes into the narrow strip of dirt yielded a thriving forest of Old World roses called Chapeau de Napoléon. Every spring, heavy pink blooms appear. They don’t last long, but they’re intensely fragrant. It’s amazing what a small bit of water, sun, and dirt can do. I occasionally peel the jungle of roses away from the fence to clean out the trash wedged into the briars. Discolored aluminum cans with energy drink logos crowd alongside microwave burrito wrappers and yellowed single sheets from newspapers. Once I found an entire unopened can of cat food, a tiny gray and white tabby face staring at me from deep in the forest of thorns. It’s a maddening ritual, picking up the trash that skitters across our front lawn. So you can imagine why I thought the sky lantern was nothing more than a larger-than-usual piece of refuse at the end of my driveway. The driveway isn’t long—about the length of a car. From the front window of my house I could see what appeared to be a large, clear bag plastered half on the sidewalk, half on the driveway. I sighed when I saw it. It was a Saturday, and it had rained hard the night before, and I didn’t want to trudge the twenty-five feet from my front door to the sidewalk to peel up someone else’s trash, then hike it back to the garbage can. Saturdays are rarely days of rest in our house in any case. Our fourteen-year-old daughter, Zoey, has tennis, and twelve-year-old Allie has ballet. Myca, our five-year-old, enjoys the constant shuttling and preparations, and will happily tag along in the car, watching the world through the rain-streaked windows. Like any household with five people, there is cleaning and bickering, the making of food and the grudging cleanup, the tinny sounds of screens singing in the background and the shouts when someone can’t find something and the time to leave has arrived. Picking up is a large part of our lives. It’s a rare day not to find a lone sock on the couch. Never the same sock, of course, which is to be expected, because my kids don’t wear matching socks. Matching socks is a quaint obsession of their elders. I pile wayward belongings at the bottom of the stairs, hoping the kids will carry them up to their rooms. Allie piles backpacks and ballet bags in the entryway to the house, which she insists on calling “the closet” even though it’s a roughly two-foot-square space that must be navigated by every person in the house. By the time Saturday comes, I’m tired of picking things up. My things, other people’s things, picking up the kids at their activities, from school, picking up the mail or the dry cleaning or the pace or whatever else has fallen and needs to be lifted again. So, I admit it, I didn’t want to pick up the trash at the end of the driveway and hoped that Krista might do it. I was halfway through getting Myca’s shoes on, her pitifully mismatched socks staring at me while she sang a song and kicked and laughed and Allie, upstairs, shouted, “I can’t find the bobby pins!” I wedged the phone between my shoulder and ear, knowing the right response and finally bringing myself to say it. “I’ll pick it up,” I said. Later. Because right now I needed to get Allie out the door and on her way. We swirled into the car, Allie and Myca singing a nonsense song together as we navigated northward and dropped Allie off for her day’s worth of dance. Myca and I pulled back into the driveway thirty minutes later. Krista and Zoey were home now. She had driven over the bag again, of course. I saw the tire marks as I pulled alongside it. It had begun to rain again. Nothing like the previous night, which had been a rare storm of window-rattling fury, but it was wet nonetheless, and Myca ran to the porch, shouting and leaping before bursting into the house. I went to the porch, too, my hand on the doorknob, debating whether to pick up the trash and be done with it. I did not want to pick up the garbage. It was such a little thing, but in my mind it had taken on unreasonable proportions. It wasn’t my trash. I didn’t throw it there. Why had it rained last night? If it had been dry, no doubt the bag would have scuttled to the end of the cul-de-sac, and one of my neighbors would be debating who should pick it up. I sighed and walked down the drive, the rain plastering my hair to my scalp. I bent down and discovered it wasn’t plastic. It wasn’t a bag. It was translucent paper attached to a bent wire frame. This was not what I had expected, and all my cranky reluctance disappeared, replaced with mild curiosity. I peeled the paper up from the sidewalk. A short note in Sharpie was scrawled on one corner: “Love you, Dad. Miss you so much. Steph.” The stark, unexpected statement of love startled me. How did this come here, to my house? There was another line of text, a short and innocuous bit of writing that didn’t hold my attention. But those two sentences, followed by a hastily scribbled heart and her name—I couldn’t stop staring at them. I lifted the paper completely from the ground. It wasn’t a bag at all: it was a sky lantern. Burnt-out and crumpled. Broken. Sky lanterns are like hot-air balloons, only much smaller. This one was made of paper and metal. The candle was long gone. Something about that note filled me with a sudden melancholy. Maybe it was the rain. The thought of this young woman—was she young? I didn’t know that for sure—sending a note to her father, through the rain, which landed here, at my house, made the world seem hollow and sad for a moment. I set the lantern down and smoothed out the paper, my hand running across Steph’s words. I slipped my phone out and took a picture of her note. I wanted to remember it; I wanted to think about it. That morning I had begrudged the journey from my house to the driveway and back. Now I wondered if the road ahead of me was much, much longer. I wondered where this note might take me. Where had the lantern come from? Could I retrace its journey? Would that be a good thing? It must be from someone nearby. I shivered because of the cold, not because I was thinking of some fatherless girl out there—a daughter missing her father. I put the lantern in the recycling. Before I made it into the house, I stopped and pulled up the photo on my phone. I wanted to see the note again. I stood in the driveway, halfway between the trash can and the front door, looking at the picture on my phone. The rain dripped down my face, into my eyes. The photo blurred, covered in drops of rainwater. I wanted to find Steph. I wanted to tell her I had found her lantern. I wanted to tell her it was going to be okay. For once, I told myself, for once I wouldn’t throw away the broken things that gathered here. For once I was going to fix it. Somehow I was going to fix it. This woman, Steph, she might not even want to hear from me, may not want to know where the lantern landed. Not that I had a single clue to go on, anyway. It was foolish to think there was anything to be done other than to throw the lantern away and go about my day. I put the phone in my pocket and put the lantern out of my mind. "Sky Lantern reminds us that the smallest flame can brighten the deepest gloom. I loved it! It's easy these days to feel disconnected from other people because we all have our problems. But when a sky lantern, in whatever form, appears to us with its message of need, this book tells us what to do: Reach out, give, love."